Managed to avoid most election ads so far. Except for the local candidate posters, all of who (and I might be wrong) are promising to build a pool. In a beachside town. With a very large aquatic centre about 20min drive away. There’s like zero brown people here so I guess they needed to think outside the box a bit. Waiting for Dutton to cite his sources for all those people in his electorate who are angry that Ali France does not live in the electorate - otherwise, it has the status of fake news. The electorate should vote on it. Apparently Labor are going to tax your utes though. And they’re going to put electrical outlets in gum trees apparently, according to some silly old duck in Queensland. Lifelong Labor voter till 2016. Queensland is a weird place. Another thing…allegedly a platform of Clive Palmer’s United Australia Party is that North Queensland should secede…maybe from Queensland, maybe from Australia. He can’t even unite Queensland. Don’t most vehicles manufacturers already have plans to be mostly or fully electric by 2030 anyway? This is another one of those “if I didn’t know it was Palmer who said it I’d probably fully support it” things. Great work by the good burghers of Ruckers Hill, there! But kangaroo and emu are very lean meats. 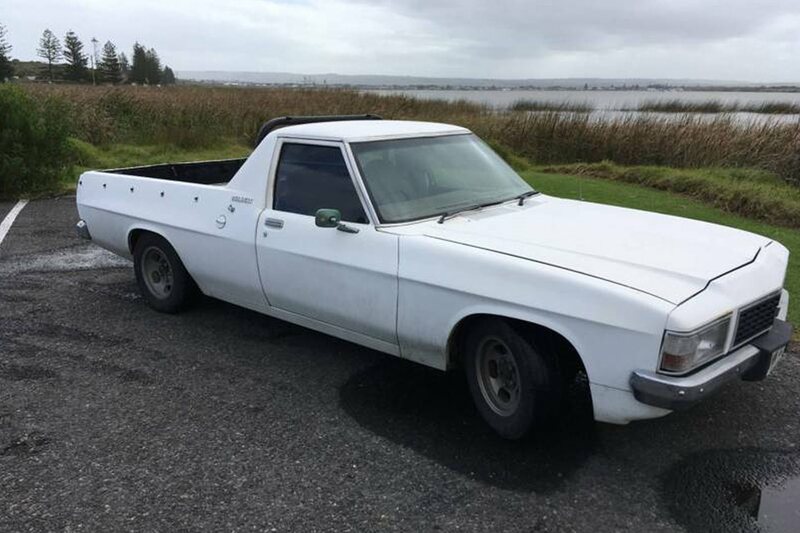 They might even be making…wait for it…electric utes! This WB doesn’t run a 202, 253 or even a 308. It’s electric! We might finally be rid of Leyonhjelm. Missed out on a NSW upper house seat. 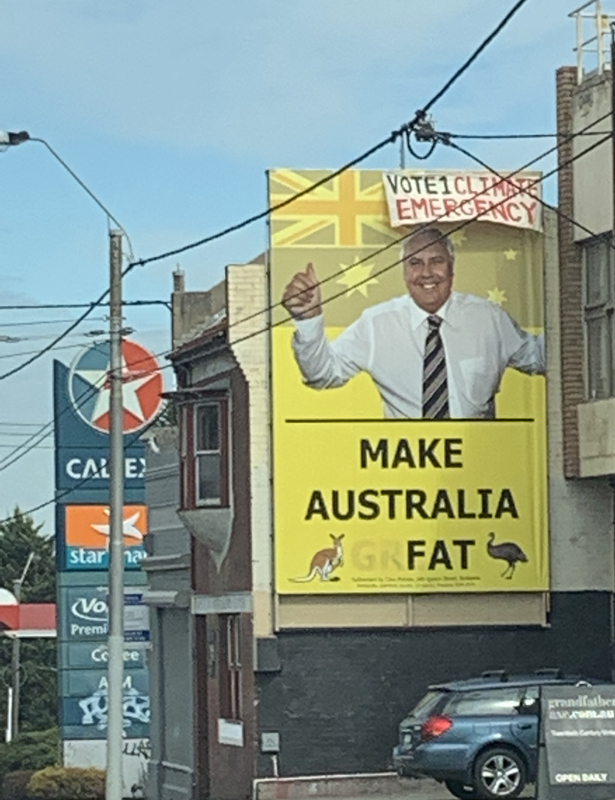 May try again for a federal senate seat, there’s still time to nominate, but his voter base is so low (and there’s so much competition for the hard right vote now) that it’ll be very very tough for him. I’d say good riddance, but you just know he’ll have a regular column in the Australian and a sky news gig within a fortnight, and within two months he’ll be a regular commentator on the ABC in the name of ‘balance’. Is that like how family-friendly Sunrise provides balance by giving a platform to two One Nation members and one of the most right wing ex-Premiers Victoria has ever seen? Wonder if Labor are courageous enough to introduce the true publishing laws like in Canada? Hey that must be the money for the indoor pool we had been promised in my Town. That would be fantastic, … and you never know, maybe. Bill did tell him to stick his meeting up his arsse when he asked for one to offer his help, and therefore expect a favour back. The same trap Kev 07 fell into. Maybe he rooted her at uni.